HOURS: Classes Mondays through Saturdays throughout Monmouth County, with programs running at 9:30, 10:30, and 11:30 am. Melissa has been teaching children's music for many years in Monmouth County. As a proud member of Holiday Express, Melissa is a singer-songwriter and former modern dancer. 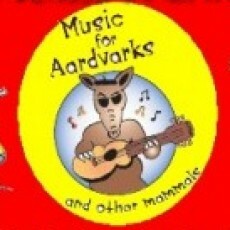 She is so thrilled to introduce Music for Aardvarks and Other Mammals. My dream of combining modern contemporary music with children's themes has arrived. Inspired by songs such as: it's velcro and I love that sound, a day alone with dad, toilet training, and more as heard on Jack's Big Music Show on Nickelodeon's Noggin Network. Classes are available throughout Monmouth County. Birthday and home parties are available. Call us today to find out about our FREE Demos.